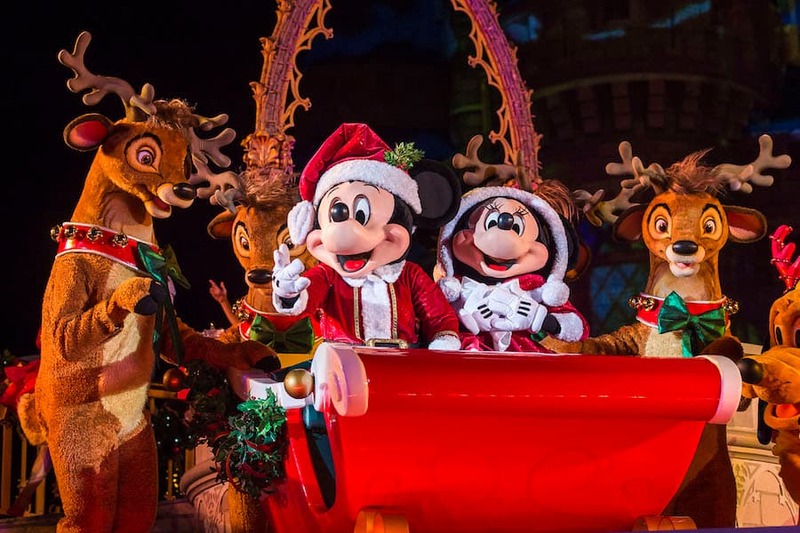 Planning a visit to Walt Disney World Resort for the holidays? 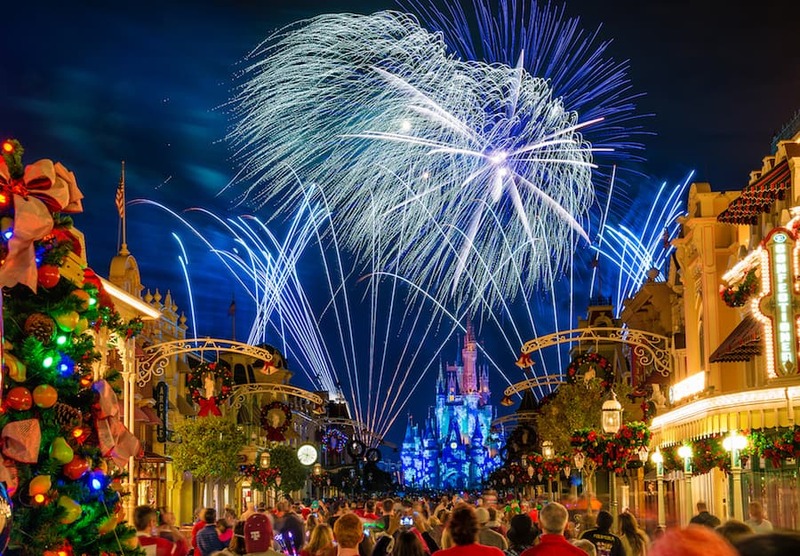 Then you can’t miss Mickey’s Very Merry Christmas Party at Magic Kingdom Park, which celebrates the season with festive decor, glittering holiday lights, special photo opportunities, holiday entertainment you have to see to believe, snow on Main Street, U.S.A., and so much more. Mickey’s Very Merry Christmas Party, which requires a special ticket to attend, will be held on the following nights: November 9, 10, 12, 14, 16, 17, 26 and 28; and December 1, 3, 5, 7, 8, 10, 12, 14, 15, 17, 19, 21 and 22. 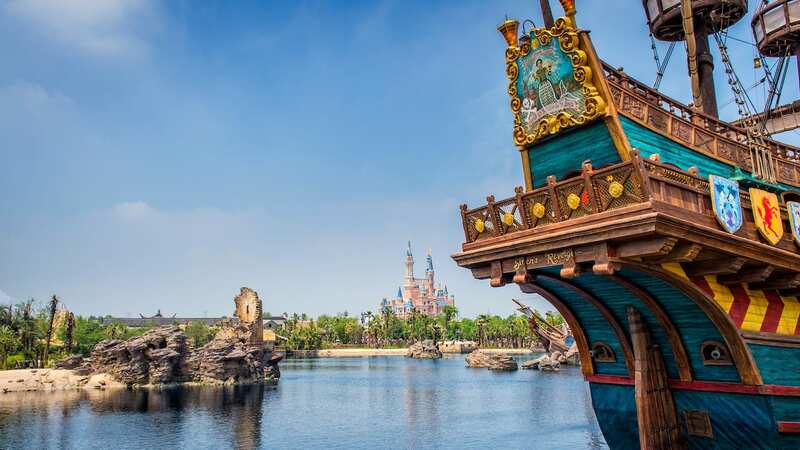 Party fun takes place from 7 p.m.-midnight, although party ticket holders may enter the park as early as 4 p.m. to enjoy regular park offerings. Kicking off the evening is the must-see offering, “A Frozen Holiday Wish.” Guests arriving early for the party can watch as royal sisters Anna and Elsa lead a celebration for their friends on the Castle Forecourt Stage that culminates in Queen Elsa using her incredible powers to transform Cinderella Castle into a shimmering ice palace for the holidays. Later in the evening, the stage plays host to “Mickey’s Most Merriest Celebration,” a live show in which Mickey and his pals hold an unforgettable holiday gathering that celebrates friendship and music. 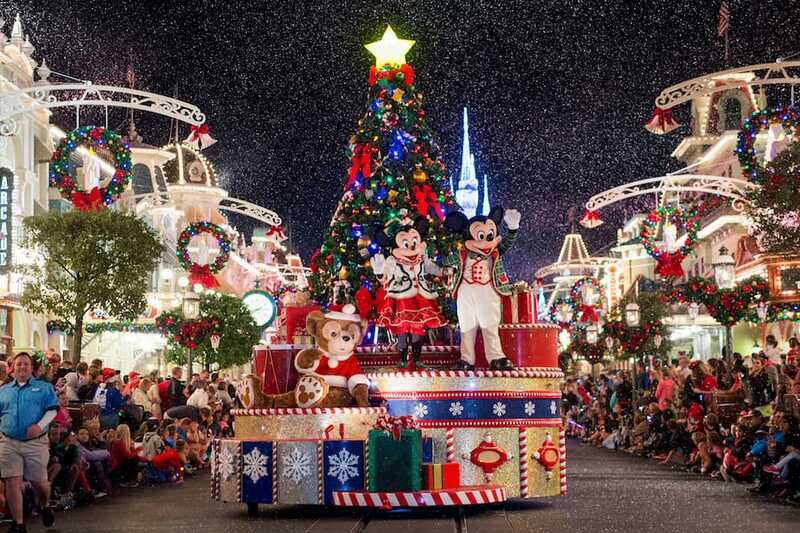 Another party must-see is “Mickey’s Once Upon a Christmastime Parade,” which steps off twice during each party night. This enchanting holiday parade features dancing gingerbread men, marching toy soldiers, Disney characters, Santa Claus and more bringing the fun straight down Main Street, U.S.A.
Then the highlight of Mickey’s Very Merry Christmas Party night is “Holiday Wishes Fireworks– Celebrate the Spirit of the Season,” a special fireworks show set to holiday tunes that lights up the sky above Magic Kingdom Park. The party also offers guests a chance to snack on complimentary hot cocoa and cookies, enjoy party exclusive character greetings (and photos! ), as well as pick up event-exclusive merchandise and holiday treats. Keep watching the Disney Parks Blog for more details on the goodies that will be offered at this year’s party. For more information and to purchase tickets for this after-hours spectacular, visit Disneyworld.com/Christmasparty. Can I use a TWILIGHT AFTER-5PM TICKET for this event? You can only attend the party if you purchase a party ticket separately from your park ticket. So you don’t need a park hopper but you need to buy a party ticket. if we do not have park hopper but are special resort guests can we go from Animal Kingdom at 8p.m. to Magic Kingdom for Mickeys Very Merry Christmas party? What time can you start receiving the complementary treats at the party? Does anyone know if Moana will make an appearance at the VMCP? Does anyone know if Uncle Scrooge McDuck will be attending? Has anyone heard of the color and design of the 2017 Mickey’s Very Merry Christmas magic band? We are trying to plan a trip to Disney over Christmas break. 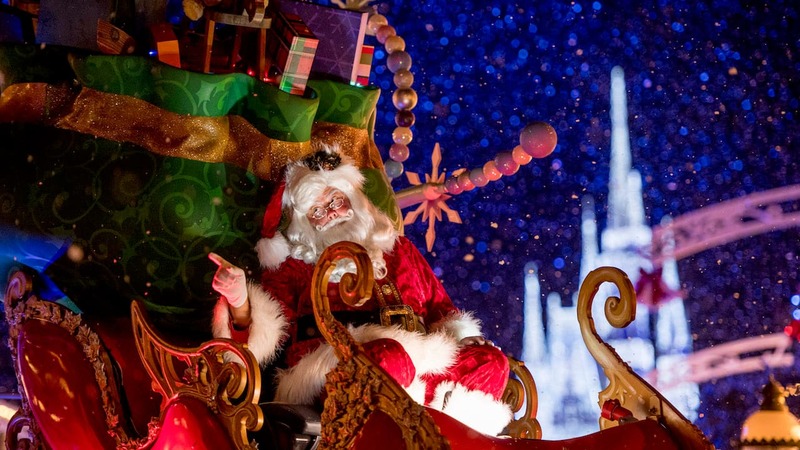 We may arrive prior to the December 22nd in order to catch Mickey’s Very Merry Christmas Party at Magic Kingdom Park. What are the holiday hours for the park over the Christmas / New Years holidays ? I assume the park is closed on Christmas day…. Hindsight being 20/20, I’m getting the impression that this is a very busy time, and we maybe should have chosen a different time in order to get the most value. We are finding that a lot of costs are much more expensive during this time of the year. Any suggestions on how to maximize our budget for the best value ? Help! I have already bought the special ticket. Do I need a general ticket too, as It is requested when you go to Cinderella dinner for example? 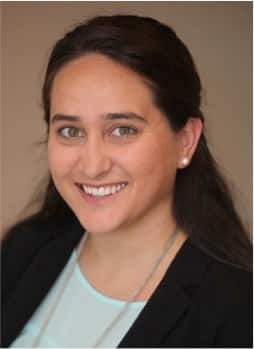 ANA. Personally, I’d pick November 9th over the 10th. One has to understand the Christmas Party is a popular event. Even though they say tickets are limited, every time we’ve gone (on different days of the week) the park was very crowded. Some people might say they didn’t experience crowds, but just from our experience it can be crowded. So, it’s a hit or miss on what days. Either way, go into the park and absorb the Christmas atmosphere. Watch the shows and parade. It’s a great time to be at Disney World. I can’t wait to see the pins!!! For the Very Merry Party night, november 9 or 10. Wich day would be better, less crowded? 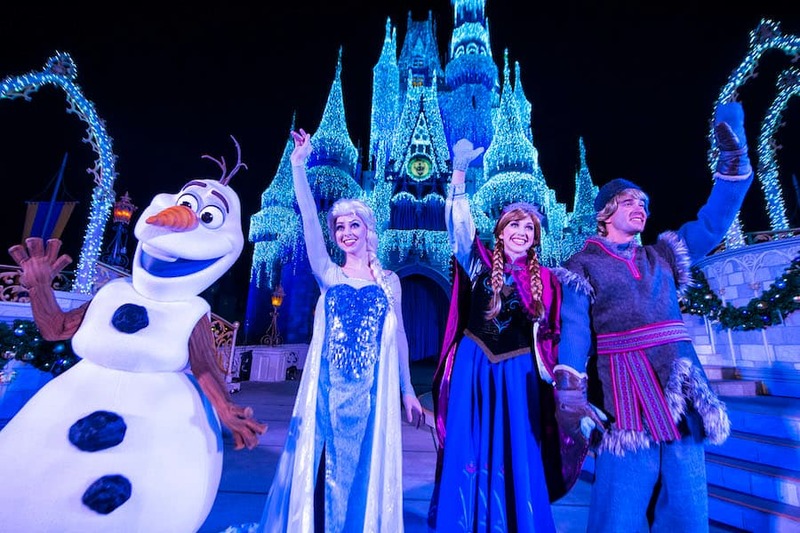 Will ‘Frozen Holiday Wish’ begin the first week in November as in previous years? I have a trip planned for the first week of November. Also, when does the holiday finale of ‘Mickey’s Friendship Faire’ begin? Well – not quite everything… Any hints (or outright announcement) of what the Sorcerers of the Magic Kingdom party card will be?? ?